The measurement identifies the nanostructure changes with temperature variations. Figure 1. Hysteresis effect in the temperature cycle : data acquired on dithienocyclopenta-thieno-[3,2-b]thiophene (DTCTT)-based molecular donor material for small molecular organic photovoltaic (sm-OPV) devices. No particular standards & methods are described in the literature. 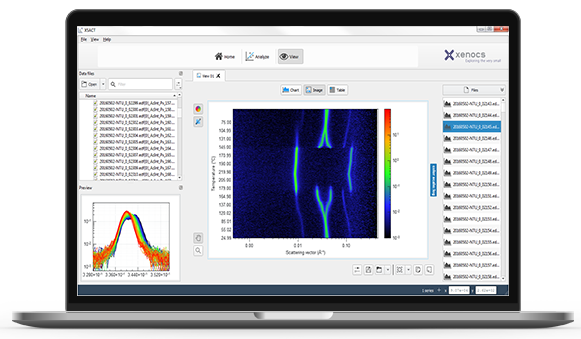 XSACT analysis software is used first to display the structure evolution with temperature, and secondly for quantitative study. Why use SAXS for dynamic studies ? 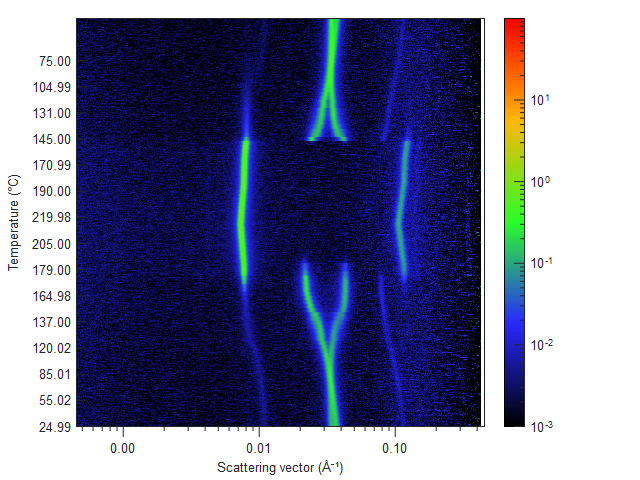 With SAXS, you can probe the changes in nanostructure as a function of temperature. With simultaneous SAXS and WAXS, you can access atomic and mesoscale information at the same time, with no bias from reproducibility issues. Simultaneous SAXS and WAXS data collection offers access to information over a broad range of length scales.